MetroPCS flagged some pretty high-end phones for the fall Tuesday, plus announced a new 4G LTE plan and a new 4G phone all in the same breath. 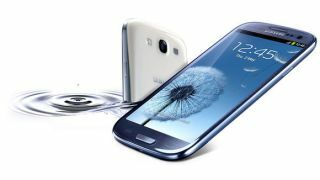 The pay-as-you-go cellular provider has a snazzy lineup planned for this fall, including the Samsung Galaxy SIII, a Samsung VoLTE phone and a STE phone with a 4.3-inch screen. Another big-display device, the 4-inch "Coolpad" smartphone, is also part of the "later this year" launch. In addition to bringing on these big name phones, MetroPCS is offering the LG Motion 4G, an Ice Cream Sandwich-run smartphone that'll cost $149 with a two-year contract. The Motion reportedly comes equipped with 3.5-inch HVGA display, a rear-facing 5-megapixel camera and a 1.2 GHz dual-core processor, a dandy little device to pair with the company's new data plan. Metro's third big announcement Tuesday was the arrival of a 4G LTE plan that costs $55 a month. According to MetroPCS president Thomas Keys, there's "no strings" attached to get unlimited talk, test and web access on the plan, which only applies to a single line. For another $50 a month, a second, third and fourth family line can jump on board, too. MetroPCS is offering rebates with the purchase of a second 4G phone, and the Motion 4G is part of the offer. The $55-a-month promotion takes affect later this week and with no end date, could last a good longtime. Though Metro holds the dubious title, along with T-Mobile, as being the only carrier not to offer the iPhone, that could change with the iPhone 5. Keys reportedly compared the device in its current iterations to a customer-catching Dodge Viper, saying, "We'd love to have the iPhone." The company apparently never got far in talks with Apple about carrying the iOS device in its earlier iterations, with the carrier's band spectrum a major hurdle, especially its lack of 4G LTE. Keys also said his company was concerned that Apple's volume commitments would affect its ability to carry other phones. The next-gen iPhone will reportedly have band spectrum compatibility, plus 4G LTE, making it a distinct possibility for the pre-paid carrier. Price might be an issue, however, as the cost for a no-contract 16GB iPhone 4S at Leap Wireless runs $499.99. Maybe they'll be able to strick a deal?